What a fun bunch to celebrate with! Jaclyn and Nicholas shared a fun-filled evening of dancing, food, and laughs among family and friends. We were fortunate to be a part of this Curtis Center wedding. We are always stunned at how quickly the Curtis Center team can transform the atrium from a sophisticated and elegant ceremony space into a unique and fun reception area. 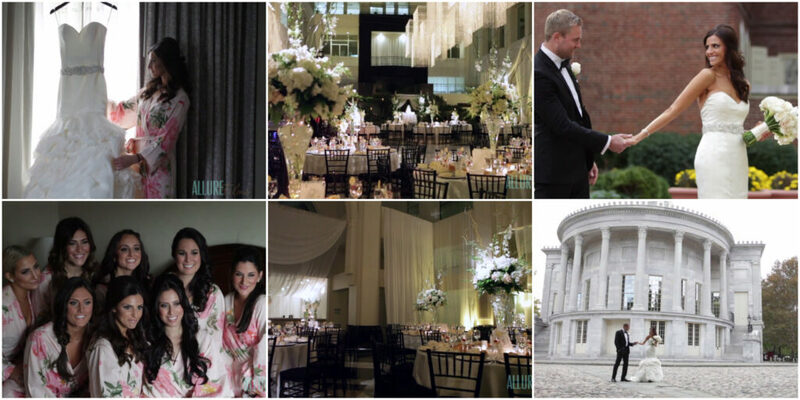 In their preview, you can see Jaclyn and Nicholas seeing the atrium for the first time on their wedding day. We were pleased to work alongside our good friends from Baiada Photography . 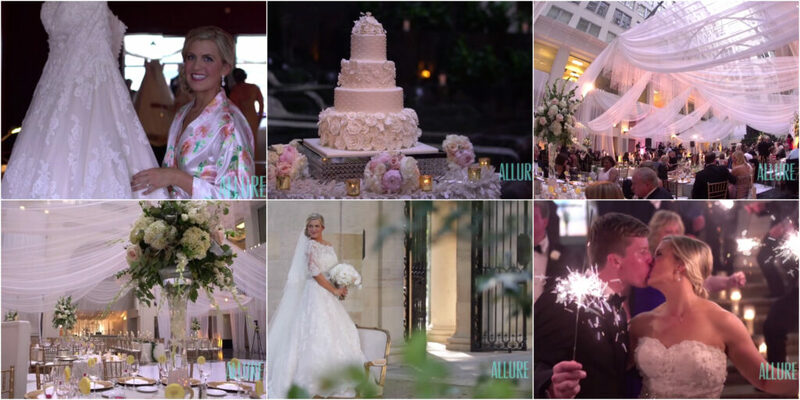 Congrats newlyweds, and thank you for including Allure Films in your big day! Ann and Oluseun’s loving smiles are a telltale sign that they are truly meant to be. This wonderful couple exchanged blissful glances from beginning to end. Ann and Oluseun said their “I do’s” at New Covenant Church of Philadelphia, and a beautiful reception at the Curtis Center followed. 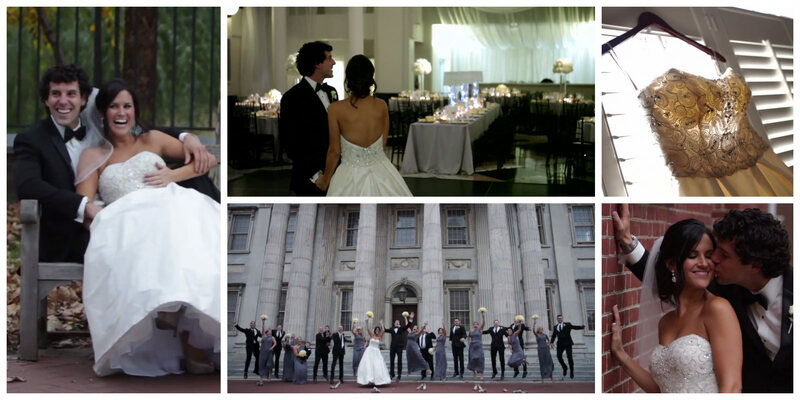 This historic, 12-story Atrium was the best location to celebrate such a perfect day! The Allure Films team would like to extend a big congratulations to Ann and Oluseun on their marriage. Thank you for allowing us to be a part of all the magic. Here’s to happily ever after! Enjoy this short preview film from Ann and Oluseun’s big day!